Defined by its unique two blades Aeolus adds a high-end minimalistic style to any space. Its special designed twin blades allow air to spread consistently around the space ensuring even circulation. 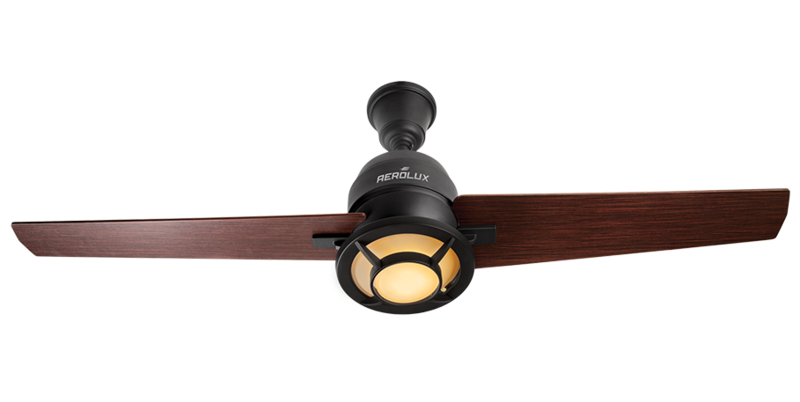 The Halogen Light hub creates the magic of natural warm light, adding a pleasant dimension to its surroundings. It's advanced motor provides whisper quiet operation. Minimalist in design featuring a unique set of two wood finish blades, with 52 inch sweep size. The contemporary design of its large span blades suits a variety of interior decor styles. The alluring halogen enamates a pleasing worn light creating a natural environ. To keep your experience pleasant the advanced motor makes the fan whisper quiet, reducing ambient noise in your treasured space. The twin blades move smoothly generating just 46 Dolby sound. The robust basic quality of our motors inspires us to provide you a 10 year warrantly. The specially designed twin blades are crafted with care to spread air consistently all around its space and surroundings.